We proudly recognize and support educators who come up with creative new ways to engage their students. 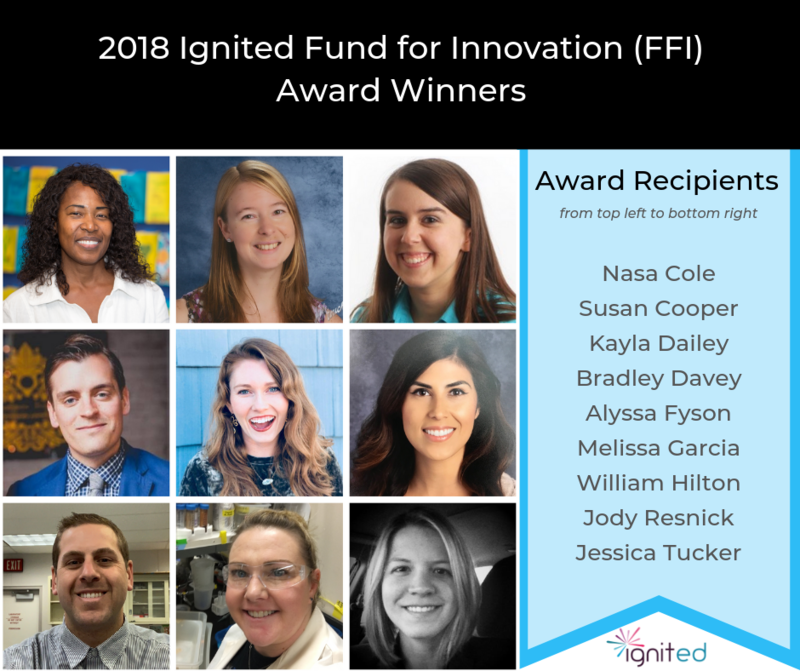 Ignited’s Fund for Innovation (FFI) underwrites unique ideas and tools that show potential to improve teacher instruction and student achievement. Each year, Ignited provides grants ranging from $100 to $1000 to outstanding teachers who have completed our Summer Fellowship Program and need supplemental resources to implement an innovative and exciting idea in their classroom.